Whether placed in an underground cave, on the roof of the scyscraper or top of the cliff. Huge ones with waterslides for the kids and the private splunge pools for magical evenings– we love them all. 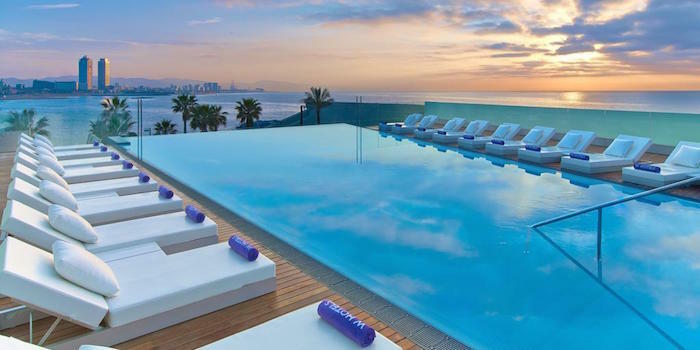 Swimming pool can make your stay very special and we have just what you might need for the oncoming holidays: list of 10 hotels with best pools in Europe! Late entrance but this infinity pool with Alps view became famous in 2017. Apart of stunning setting hotel offers terraced restaurant serving locally-sourced food. And cigar lounge with selection of single malts. Perfect! If this pool won't rise your eyebrows then we don't know what will! It's 46 meters long, with stunning views of the surrounding mountains. Best one in Austria so far. There you go! Check more amazing poools in the Best Pool Hotels section or let us know if you know about amazing pool you took a dip in. The most crazy hotels in the world! The most haunted hotels in the world!